We are an award winning Android Application Development company delivering innovative and high quality Android applications encompassing qualitative solutions with rich features, elevated performance and latest technology trends that complement your business insights. Let’s Nurture is a software solutions company and industry leader in providing Android app development and expert Android consultation services to diverse businesses and brands. Hire dedicated Android developers are masters in developing apps for various Android powered devices which includes mobiles, tablets, smart displays, smart TVs, smart watches etc. Every Android developer at Let's Nurture holds extensive experience with latest tools and cutting-edge technologies like Android Studio, programming languages such as Java and Kotlin, Maps SDKs, ARCore, Socket.io, AES encryption to create secure, robust and feature-packed Android apps. To use the innovative and most advanced features introduced in latest OS of Android, we constantly stay updated and develop the apps for the latest Android OS including Android Pie and Android Oreo. We help brands own Android apps which are unique and business driven with proper support for native platform in which the app is going to be used. We help in building custom Android applications based on business requirements by creating wireframes and flow of app functionality using the most advanced tools. We constantly update our design strategies to match with latest UI/UX guidelines and material design to give intuitive user experience through Android App Development. To make our existing Android applications incorporate new features in the latest OS, we perform app upgradation to latest SDKs and libraries used in Android app development. To avoid the necessity of re-inventing the wheel, we develop ready-to-use Android SDKs, integrate 3rd party Android SDKs & publish them to popular repositories such as GitHub, Maven, etc. Android app development team at Let’s Nurture develops Android TV applications in such a way that users would feel the unified experience in both mobile and TV platforms. Our expertise in using Android Things to create custom IoT apps is unmatched. We develop IoT apps with Android Things SDK and Android Things Hardware kits. Android Auto being supported by giants like Audi, Ford, Honda, etc., we have expertise in developing Android Auto apps for features like GPS navigation, music player, etc. Using Android Wear, known as Wear OS, Let's Nurture is experienced in building apps for smart watch. We support all major Wear OS brands such as Fossil Q and Moto 360. 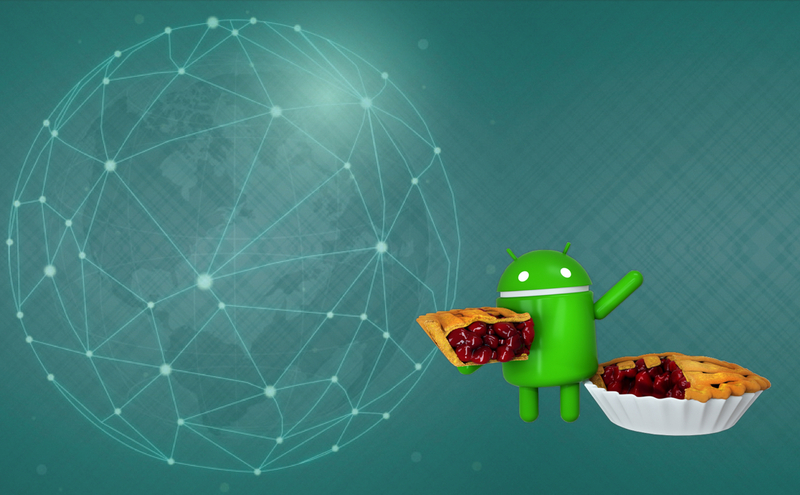 We help to migrate your app for Android Pie specific changes to keep it updated. We constantly update our knowledge database to develop new features using latest Android OS. Hire Android developers from us who follow specific guidelines for developing Tablet Android Apps. We are experienced in developing tailor-made applications for Kiosks too. Our experienced Android app development team helps in deciding the architecture of the app for quality UI/UX & maintenance. We divide the major functionalities into separate milestones for streamlining Android Development process after requirement & feasibility analysis. Hire dedicated Android developers with 2+ years of experience in Android App Development with flexible hiring models,full-time or part-time. Our expert Android app designers create wireframes along with material design using professional tools such as Adobe XD for deciding the flow of the app. For apps having long term of development scope, we follow agile methodology as software development cycle where we do the incremental app releases. We are having expertise in Automation Testing including Android Unit Testing, Android Instrumentation Testing along with Manual Unit testing on daily basis. We provide end-to-end support for deploying app to Google PlayStore. We also support for updating any existing Android app in the PlayStore. We provide maintenance services such as converting old eclipse project to Android Studio projects, migrating old coding structures to new MVP/MVVM structures, fixing unwanted crashes for better stability. Why choose Let’s Nurture for Affordable Android App Development Services? Quality comes with a price, and we never give up on quality just for the sake of price. However, we firmly believe that we provide very affordable Android App Development services compared to the market. Let's Nurture does not believe in building just the apps, we believe in making relations with trust for our services. We feel responsible for our work even after the project gets delivered. As an Award winning software development company we are entitled to provide the most effective solutions than other IT firms. Most of all, we like to take challenges. So, if you are having any challenging project that no one is able to take up, you can always contact Let's Nurture! Till what oldest version do you provide OS support for android? Since more than 95% of Android Devices are now running on Android 4.4 and higher, we provide support for minimum of Android version 4.4 Kitkat with API Version 19. Are all android apps phone & tab compatible by default? Yes, all android apps that runs on phone can run on Tablet. But there are different design guidelines for tablet apps. So, in order to make your app optimized for tablets, we need to make several UI and code changes. Can I develop a tablet only app on Android? Yes. It is possible to develop and publish an app only for tablet. WIll I be able to select which of your developers is deployed on my project? We always select the most appropriate candidates for your project based on the project requirements and developer experience in particular field. However, you can have the meeting with our developers before the Kick-off if you have have any queries or if you need advise on the flow. Do you provide live app maintenance services? Yes. We provide expert maintenance support for apps which are already live. What devices you use for testing the Android applications? We have various testing devices ranging from low end to high end including Motorola, Google Nexus, OnePlus, Samsung, Xiaomi. We have all versions of Android OS from Android Kitkat 4.4 to Android Pie 9. What makes you prefer the Kotlin development in Android to Java programming? Is Kotlin compatible with other Java language library APIs? Yes. Kotlin is 100% interoperable with the Java programming language and major emphasis has been placed on making sure that your existing codebase can interact properly with Kotlin. You can easily call Kotlin code from Java and Java code from Kotlin. Kotlin provides Java language interoperability. This is a design that allows Kotlin code to transparently call Java language methods, coupled with annotations that make it easy to expose Kotlin-only functionality to Java code. Kotlin files that don't use any Kotlin-specific semantics can be directly referenced from Java code without any annotations at all. Who will deploy Android Apps on PlayStore? Will you do it for free? Yes. We help deploying Android apps on PlayStore for free. We provide guaranteed approvals of mobile applications for launching them in the market through Playstore.